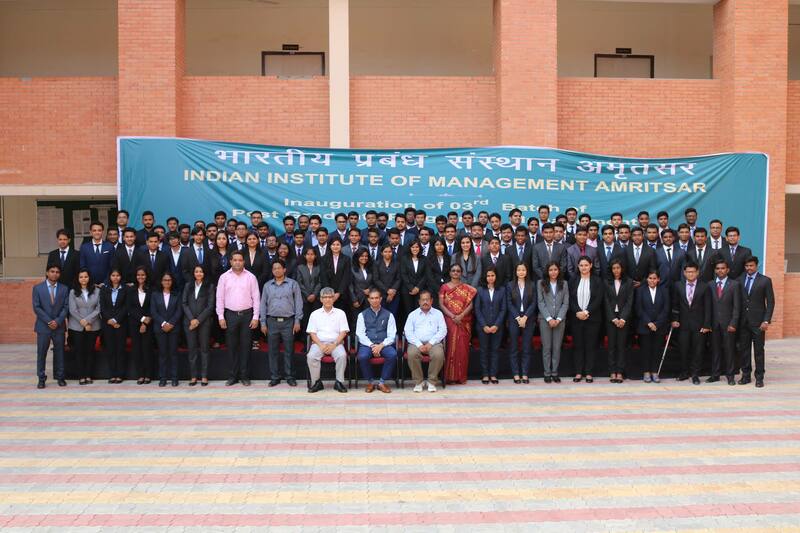 On 15th December 2016, IIM Amritsar hosted an interactive session with Mr. Simarpreet H. Singh, Head, Business Development, Hartek Power Pvt. Ltd. Mr. Singh is an Indian entrepreneur and a Director at Hartek Group, which is one of the fastest growing conglomerates in the Indian renewable and power transmission & distribution space. He is an electrical engineer and pursued his post graduation in management specializing in Family managed business, entrepreneurship, financial management and strategy. He is also a renewable energy enthusiast and is continuously working on promoting green and sustainable forms of energy. The session was highly enthusiastic and interactive. Mr. Singh highlighted how one can become a successful entrepreneur by following their dreams and not letting hurdles stopping them. He motivated people to “Make it Large” and not let factors like “Log kya kahenge” stop them. He spoke about how pessimism stops one from being the greatest entrepreneur or the CEO of the dream company. Mr. Singh further shared the importance of passion in any job one takes up. “The Fire of Passion must never die” he said. Mr. Singh elaborated that every single person is going to die eventually and we should strive to achieve our goal every single moment. The interaction culminated with a Q&A session with Mr. Singh.The students were highly motivated by the session and it helped them to reflect on the broader perspective of life.